Thomas Kinkade, master of the innocuous cottage paintings with warm, candle-lit windows and fluffy clouds just got upgraded with Star Wars. Watch as a batch of Stormtroopers set Kinkade's world ablaze in this astounding upgrade. 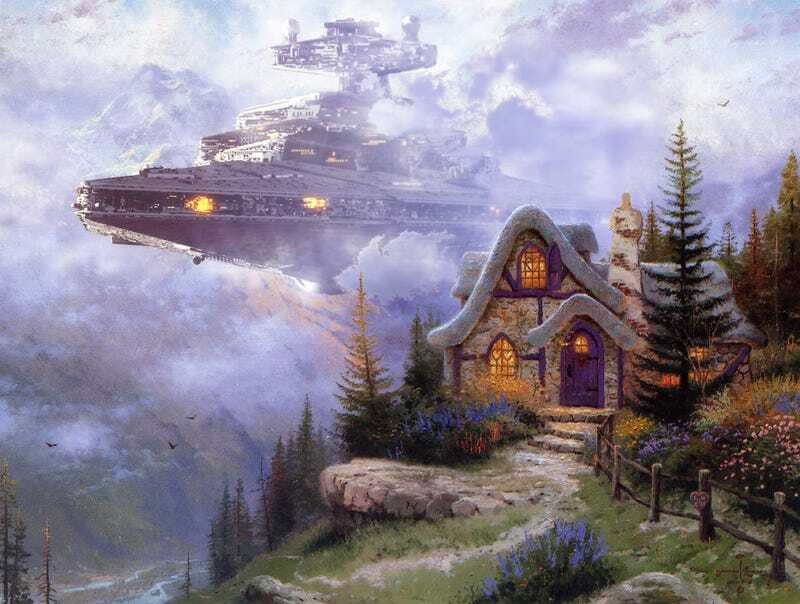 Created by artist Jeff Bennett, we would happily pay good money to allow Bennett to travel the world "fixing" the hilly scenes of Kinkade's work with Star Destroyers.